A high school in Fort Wayne, Indiana is getting rid of the nickname “Redskins” and is planning to work with students and the community on a new school nickname. While most of the country has focused on effort for the NFL’s Washington Redskins to change its nickname, schools and sports teams have quietly – some a little more quietly than others – have gone about the business of changing the name that many Native Americans find a slur and offensive. North Side High School, which has used the name since 1927, according to the Fort Wayne News-Sentinel, is the latest to ditch it and search for a new one. This is significant seeing that Fort Wayne Community Schools is the second largest school district in the state next to Indianapolis Public Schools. The newspaper said the school officials did their homework and have already talked with the school’s student government, alumni association, school leadership and Miami Tribe about the current nickname. School officials told the News-Sentinel that a process to select a new name will include input from students and alumni, with the Miami Tribe serving as a consultant to the process being completed by the end of the school year. News-Sentinel columnist Reggie Hayes supported the school’s efforts and its willingness to move forward. “I understand the investment and pride in school tradition. But ‘Redskins’ is considered a racial slur now, and it’s time to move on to a better nickname,” Hayes wrote Thursday, July 23. “Traditions can be overrated, especially in sports. It’s been my experience that those most upset by change are older people, set in their ways and mired in nostalgia for the good old days. Serena Williams the best ever? Why not? Isn’t it just time that rank Serena Williams near or at the top of the list when we start to talk about the greatest female tennis players of all-time? If many can get over the now and then tantrums, her fashion, her body shape (thanks New York Times) and yes, even her black skin, and just look at what she’s doing and at the age she is doing it, frankly there’s few others to talk about. At age 33, when most of the people who started playing with her are retired and taken on other careers, Williams is playing the best tennis of her life and playing it on a level that few can manage to compete. In July’s Wimbledon finals, she was down to Garbine Muguruza 4-2 in the first set before roaring back to win 6-4, 6-4 to now own all four major crowns at once – for the second time in her career. Yes, many call it a “Serena Slam” because she has not won all four majors – Australian, French, Wimbledon and U.S. Open – in the same year, but that’s ridiculous semantics that dampens the astonishing achievement, but that’s another column for another day. She still has a shot to do it at the U.S. Open this year to become the first player since Steffi Graf won all four in one year in 1988. It appears Graf is the only person that stands in her way of being considered the greatest ever. Williams is one off her Majors record and could tie it in New York. To show how dominate she has been, Williams is ranked No. 1 in the world and has beaten the No. 2-ranked player in the world, Maria Sharapova, 18 of the last 20 times they’ve played. “(Williams) is the oldest player, male or female, to ever be world number one; 16 years on from her first Slam triumph, aged just 17, she has won the first three of the year with her 34th birthday just eight weeks away,” wrote Tom Fordyce, of BBC Sports, who wondered aloud why Williams is not revered the same way many do Roger Federer, or Martina Navratilova and Sharapova for that instance. “To put that into context, there were 12 years between Martina Navratilova’s first Grand Slam win and her last. It was the same for Steffi Graf. Margaret Court stretched her peak out to 13, yet she never won another beyond 31 years old,” Fordyce continued. Yet, has there been any player that has had to deal with the negatives Williams have faced over the years. From the criticism about her father Richard Williams, the sexism of being called with her sister Venus “the Williams brothers” by a Russian tennis official, to the racism – Williams just ended a 14-year boycott of Indian Wells this year because of past treatment there – she has endured as much off the court as on. “Serena has shown that you can be tough, you can be fearless, you can be courageous, you can be a competitor and you can still be a woman,” former world No. 1 player and three-time Grand Slam champion Lindsay Davenport, told BBC Sports of Williams, calling one of her greatest opponents. “She was the most intimidating opponent I ever faced. With some players you would be intimidated by their record or their game, like with Steffi Graf. But with Serena you were scared by absolutely everything – her passion, her attitude, how she serves, the power she has, her athleticism. She plays tennis at a different level. She is better than any player on tour even if she is only at 80 percent – and I think she would still win a ton of matches at just 50 percent,” Davenport continued. Then when you throw in the fact her career could have ended in 2006 when she slipped to No. 95 in the world after losing her form and 2010 after suffering a pulmonary embolism, it makes her current streak that much more remarkable. Then to look at three of the top players she played when at 17 — Martina Hingis, Justine Henin and Kim Clijsters – have all retired and playing sparingly at best, leaves little doubt that Williams is, well, not like the rest of us. No one really knows how much longer Williams can keep this dominance up. But if you can finally just look at the talent she is, does Serena really have to do anything else to be considered the best? Another media company is apologizing for publishing or broadcasting racially insensitive comments, then going right back to business as usual. It’s happened with television stations, radio stations and newspapers, but this latest case of poor journalism is by The New York Times, long regarded as one the United States’ newspapers of record. During Wimbledon, The Times ran a story by Ben Rothenberg that explored whether other women tennis players wanted to have bodies like Serena Williams. The National Association of Black Journalists (NABJ)believes journalists are supposed to be accurate but the article implied that Williams does not look feminine because she has a muscular body. The article has been pilloried on the Internet. There is more than one standard of beauty and to even broach this subject in this manner is at best disingenuous and insulting. Rothenberg did NOT do that, but he should know that writing about Williams’ body invites the haters – or racists – to call her anything but a championship tennis player who arguably is the best athlete in the world – male or female.NABJ, African Americans and women are tired of it. Whether it’s television anchors using the long-outdated term “colored” or other racially offensive terms, a meteorologist messing up the Rev. Dr. Martin Luther King Jr.’s name or a newspaper referring to an African-American hockey player as the “dark guy,” this can’t keep happening. It is not OK to make these kinds of mistakes and then think issuing an apology or disciplining the guilty party makes everything alright. 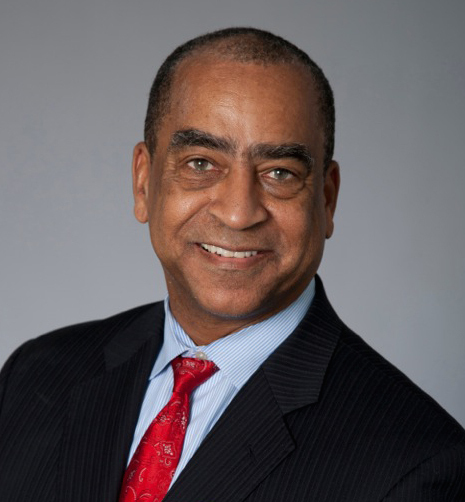 Longtime media critic – and NABJ member – Eric Deggans says many news outlets seem to forget that, because it’s 2015, they can’t possibly have the same problems with race and gender coverage that they had 10 or 15 years ago. “The other thing we know at NABJ is that covering race and gender well is a constant process,” he said. “In the same way you can never stop striving to be accurate, you can never stop working hard to fairly cover race and gender issues – which includes maintaining a diverse newsroom and paying particular attention to stories touching on these themes,” Deggans added. You can kind of understand slips of the tongue on live television or radio. But The Times admits four editors signed off on the story. It’s hard to believe that not one of them saw this as being offensive to African Americans and women. Were any of these editors people of color? That might be the problem and it’s only a matter of time before something else offensive is broadcast or published. An advocacy group established in 1975 in Washington, D.C., NABJ is the largest organization for journalists of color in the nation, and provides career development as well as educational and other support to its members worldwide. For additional information, please visit, http://www.nabj.org. Andrew Harrison is young and after missing out on history Saturday night, he probably had a reason to be mad after Frank Kaminsky and the Wisconsin Badgers whipped his Kentucky Wildcats in the semifinals, denying them the first perfect college basketball season since the 1976 Indiana Hoosiers. But his comments about Kaminsky in the postgame news conference are inexcusable regardless how hot he thought the microphone was at the conference table in front of reporters. Yes, the “F*** that n-word” was pretty much heard by everyone who needed to hear it, as the Kentucky sophomore tried to hide it under his breathe when the question was asked about the Kaminsky. Kaminsky, The Associated Press Player of the Year, had just lit up the Kentucky for 20 points, 11 rebounds in the game, settling a score in last year’s national semifinals when he failed to show up with an eight-point effort in a one-point loss to the same Wildcat team. Harrison, whether on his own or Kentucky coaching staff-induced, went to Twitter to apologize in a series of Twitter posts the wee hours Sunday morning after the social media network and other media outlets showered him with criticism. Granted Harrison, one-half of the best twin-combo in all of college basketball, was fresh off of the heat of battle. He’s a sophomore and will hopefully learn from this embarrassment, which at the least is sour grapes and a reaction of spoiled basketball player used to getting his way on the court. But as a nation, we’ve just come off of trying to put the n-word back into box again – think University of Oklahoma’s Sigma Alpha Epsilon – and telling the word how terrible the word is. Now, in one of sport’s biggest forums, we have one of college basketball’s biggest stars using the word in a news conference. Then apologizing for it at 3 a.m.? Please. And frankly, Andrew Harrison had microphone stuck in face since he was a star high school basketball player in Texas. This was hardly the first time he’s had to face the media after a difficult loss. I can’t find one honest, realistic reason to give him a pass. Grant it, everyone makes mistakes. The kid shouldn’t be buried for it. But he needs to give more than passing wink of an apology for it either. A public statement or video statement perhaps? In the name of good sportsmanship and for those to abhor the n-word, it would be the proper gesture. Last week, Wisconsin’s Nigel Hayes found out just how hot the press conference hot microphones were when he tried to whisper to his teammates how beautiful he thought the Badgers NCAA stenographer was. Well, everyone heard, with predictable results. Maybe the real lesson here for players is if it’s not meant for everyone to hear, just don’t say it at all! Pam Oliver, you were wronged. But then again, is anyone really surprised. Oliver confirmed to Sports Illustrated this week what had been just rumor since the NFC championship game – that Fox has demoted the talented the longtime sideline reporter to network’s No. 2 team this season and will be taken off the sidelines completely at the end of the NFL season. Her replacement – Erin Andrews, of course. Again, is anyone really surprised? Yet, according to Sports Illustrated, the move did not become official until Fox Sports executives flew to Oliver to break the bad news to her in person. A veteran reporter anonymously told Sports Illustrated what everyone else was thinking. To be fair, Fox Sports president Eric Shank told Sports Illustrated that they are actually expanding Oliver’s role with the network, signing her to a new multi-year deal where she will do long-form pieces, specials, major interviews and producing. But the Sports Illustrated article correctly asked, if that’s truly the case, why remove Oliver from one of the highest profile positions you have at the network and from your most lucrative properties with the NFL? When it comes to women of color reporting on the NFL, Oliver is part of a very, very small sorority. A quick review of previous stories done on her was nearly unanimous in their praise of her work, professionalism and connections. But for Fox Sports, times change, even though Oliver’s skills to do the job and do it as well as anyone have not. Pam Oliver, you will be missed for your skill as a sports journalist and as a role model for other journalists. It’s ashamed that you’re not going out on your terms. You earned the right to have made that call yourself. If you would have asked me on Thursday if LeBron James would stay in Miami to play with the Heat or return to play for the Cleveland Cavaliers, I would have laughed at you for asking me such a silly question. Miami, of course. James years in Cleveland: No NBA titles. James years in Miami: Four straight trips to the NBA finals and two world championships. February weather in Cleveland: Freezing and lake-effect snow. February weather in Miami: Sunny and in the 70s. Best free agents he played with in Cleveland: Shaquille O’Neal at the end of his career. Best free agents he played with in Miami: Future Hall of Famers Dwyane Wade and Chris Bosh with plenty in the tank. It just goes to show you that James’ return to the Cavaliers on Friday (July 11) goes beyond the obvious. I would submit that you can credit two things to James’ decision – Cleveland fans and Tim Duncan. Alright, you may say, I get the Cleveland fans but what does Tim Duncan have to do with this? Give me a second to hear me out and I’ll explain. As a writer at the Toledo Blade, I remember James nearly selling out Savage Hall at the University of Toledo when his high school team played a playoff game there. James is indeed a self-proclaimed son of Northeast Ohio, but the entire state embraced him as one of their own while he was still attending proms and learning how to drive. That connection was real. But how real? When James left Cleveland to go to Miami in the middle of self-created media circus, it crushed his most loyal fans and friends. It wasn’t until Friday that fans knew just how much it affected James personally. “Before anyone ever cared where I would play basketball, I was a kid from Northeast Ohio. It’s where I walked. It’s where I ran. It’s where I cried. It’s where I bled. It holds a special place in my heart,” James said in the opening of his essay in Sports Illustrated Friday announcing his return. In the finals of this year’s NBA championship against the San Antonio Spurs, you could almost see something was amiss. James was doing what he does as the world’s best player yet the Spurs crushed the Heat in the four games they won in a 4-1 series rout. We very well may not be talking about this moment if Miami had actually won that series. Here’s where my Tim Duncan theory comes in. Duncan has been with the Spurs for 17 years and, like James, is one of, if not, the most beloved figures in San Antonio. Duncan’s loyalty is equally as great, routinely turning down bigger money to play in bigger, more media-hyped markets to stay in San Antonio to win championships with a fan base that covets the ground he walks on. Shortly afterward, Duncan signed another contract with the Spurs, again signing for millions less to ensure that finishes his career with the team. Is it really just a coincidence that this would happen and merely weeks later James would return to Cleveland? Even if the James-Duncan connection does sound far-fetched, so did the prospects of James returning to Cleveland at that time, where the Cavaliers finished a distant 33-49 in the Central Division this past season and hadn’t been close to making the playoffs since he departed. There is hope. The Cavaliers have the best young point guard in the NBA in Kyrie Irving. It just drafted a potential league superstar in Andrew Wiggins with the first pick in the NBA draft. If they are able to bring in another strong veteran, the Cavs could challenge for the Eastern Conference title this upcoming season. James is on the record that this is not just a feel-good move. He wants to bring an NBA title to Cleveland. Even Johnny Manziel’s on board (probably because this gets him off the front pages of the Cleveland Plain Dealer). James said he is not promising any immediate championships, but wanted to make it clear that he’s coming back on his terms and his terms alone. And work he will have to do. What in the world was Prince Fielder thinking? It didn’t take long for such movie stars like Cuba Gooding Jr. to make fun of him on TMZ.com Wednesday. “Looks like two midgets in an arm wrestling contest with a bag of knuckles,” he said to celebrity website after laughing out loud at the photo. But if people like Gooding would take a freaking breath and stop their self-righteous chuckling for just a second, they may realize the brilliance behind Fielder’s decision to pose for ESPN the Magazine. It’s brilliant because everyone will talk about it, everyone will have an opinion about it, and everyone will have to come to the conclusion that what he has done with his photos is make a statement about our view of the human body. No one can argue Fielder is a top Major League talent. The millions the Rangers are giving him to play baseball at the highest level in the planet is a testament to that. Covering the Detroit Tigers for the Toledo Blade back in the 1990s, I heard all the stories from other reporters about his batting practice exploits as a youngster while his father Cecil Fielder watched when I arrived at Tiger Stadium to cover games. He is a person supremely confident in his ability as a baseball player. Why wouldn’t he feel the same way about his body – and in his own way make us feel the same in our road to become a healthier person. Fielder’s body is the talk of the magazine, and I say that’s a good thing – a great thing. See Fielder’s cover comes at the perfect time for me. I am working on running a 5K race in a few weeks. I did a father-daughter 5K with my daughter Ashley a few years ago and while not in perfect shape then, I was better than I am today. I have yet to even come close to the time I ran that Thanksgiving in 2012 with my now law school-attending daughter and right now I would be happy just to break 40 minutes. After a workout Tuesday, I was ready to give up and start to wonder why I’m even doing this, especially walking by a bathroom mirror, which pointed out all the faults and failures in my body over a lifetime of journalism where I sat down to make a living. Fielder’s attitude is refreshing, bold and even brazen if I may say so. Some of us, simply because of biology, will spend a lifetime trying to shed enough pounds and will never get that Shaun T six-pack look. I’ve long resigned myself to the fact that I’m one of those people. I hate welcoming the winter just so I can put on additional clothing to hide my body’s faults. I despise the feeling that I can never (ever, ever) take off my shirt at a beach. Not so much today. As I continue to shed the weight slowly pound by pound, I feel more secure, more confident, even more “brazen” because Fielder decided to share to tell the world that you can look good with a little bit of weight, and used himself as an example. Prince, you were an unexpected inspiration. Now, it’s time to go out for another run. I give NASCAR credit for thinking outside the box and trying to expand its base. It is smart marketing to look into the future to see where your growth will come from and look for opportunities to tap into it. That is why I’m sure NASCAR thought it was a good idea when it turned its Instagram account to Darrell “Bubba” Wallace Jr., the racing circuit’s lone African-American driver, and sent him to the BET Awards Sunday – that’s BET as in Black Entertainment Television. Surely NASCAR had to anticipate that there would be a few bad apples that frequent their Instagram account that would rain on Wallace’s parade while he’s enjoying John Legend, Pharrell Williams, Lil Wayne and the likes. According to Bob Pockrass of the Sporting News on Wednesday (July 2), Wallace found a deluge of negative, rude and racist comments about him posting anything about BET on the NASCAR forum. “Don’t care about the BET, shouldn’t have anything to do with Nascar. Why do they keep trying to shove it down our throats? Leave it alone,” said one commenter. “That’s weird…I thought I was following nascar. Not the BET Instagram page,” another commenter added. “Wtf does this have to do with NASCAR or racing in general @nascar,” said a commenter. “So it’s ok for LeBron James to say that basketball is for black people but it’s not ok to say NASCAR is a primarily white sport? Hmm… That seems more racist than any of the comments I’ve seen,” added another. “Have you ever seen a rapper perform before a race? Is always country. Nascar was formed off of moonshine runners. Not N.W.A. !” said another for good measure. And those are the ones NASCAR allowed the stay up after zapping many other comments because they crossed the line of decorum. “If any abusive comments were left up – of any type – it was simply an oversight. Our policy is that ANY foul or abusive language is not allowed and will be deleted – and repeat offenders risk being blocked from commenting at all. Every person deserves our respect and should feel welcome as a part of the NASCAR family. Our community has a responsibility to also report any abusive comments – you can do so by sliding any comment from right to left and clicking the exclamation point,” NASCAR wrote on one of the Instagram posts. Some fans did stick up for Wallace at the BET Awards and took their Instagram commenters to task. Wallace, 20, who looks to have a bright future ahead of him in NASCAR, tried to take the high road with some of his racing fans in a tweet. “The people who are upset over the Instagram takeover w/ NASCAR n BET…are what’s wrong with the world today #ignorance,” he posted. “The only full-time African-American driver in a NASCAR national series, the two-time Camping World Truck Series winner often is told to shake off racial comments on social media. A fool with a computer doesn’t deserve a response,” wrote Pockrass. “Born to a Caucasian father (also named Darrell, hence the need for the youngster to have a nickname, ‘Bubba’) and an African-American mother, Wallace said he has been well accepted by NASCAR fans. When his father hugged him in victory lane last month at Gateway, there was no mention on Twitter about the color of their skin,” Pockrass added. One would think since we’re 50 years removed from the Civil Rights Act of 1964, that Wallace posting about the BET Awards on NASCAR’s Instagram page would not cause such a fuss. Some things, though, are hard to change. Wallace’s handling of situation, though, has just earned him a new fan. I’ll be looking for him from now on. The move to get the National Football League’s Washington Redskins to change their nickname seems to be getting close to a tipping point with the U.S. Patent and Trademark Office ruling Wednesday (June 18) that the name is disparaging to Native Americans, thus cannot have trademark protection. Of course, this ruling will be reviewed by the federal court, where the team has been successful in the past, but the interest and momentum seems to be clearly on the side of those opposing the nickname. Everyone from Congress to the media has been weighing in on the issue of the nickname, which has been around since 1932. It begs the question – if “Redskins” have been offensive for so long, why is there such a ground well now? Many Native Americans will say there always been a negative reaction in their community, but it’s the rest of America is finally starting to listen – and see the name the way they see it, as a slur. Longtime Native American activist Suzan Harjo brought a case to the Patent and Trademark Office by herself in 1992 and actually winning a ruling against the team in 1999. The team appealed in federal court and got the office’s decision reversed. Today, though, she’s got more support, from U.S. Sen. Harry Reid, who has led a push there to pressure Washington owner Daniel Snyder to change the game, from President Barack Obama, who suggested that changing the name deserved at least a discussion. Several members of the U.S. House sent a letter to NFL commissioner Roger Goodell called on him last year to engage in the issue. Newspaper such as The Oregonian and San Francisco Chronicle won’t print it anymore while websites like Slate won’t post it. The ball is in Daniel Snyder’s court. Right now, he’s dug in and has erected a verbal moot about his team and his position. The team has vowed to appeal the patent’s office ruling. No surprise there. Even if that decision is overturned in court, just how much longer can Snyder continue to hold on to public sentiment and growing number of Native Americans who have become more vocal and forceful on the issue. Snyder seems prepared to weather yet another nickname storm, but at what cost in the near and distant future?